After preaching and teaching, worship, in my opinion, is the second most significant part of a congregational gathering. Therefore, it seemed fitting to pick a “call to worship” song for the third battle in this series. One can hardly attend a modern church worship service without hearing the song Come, Now Is the Time to Worship by Brian Doerkson. Commonly sung at the start of church service, Doerkson’s song is used by many to usher in a “spirit of worship” and praise. 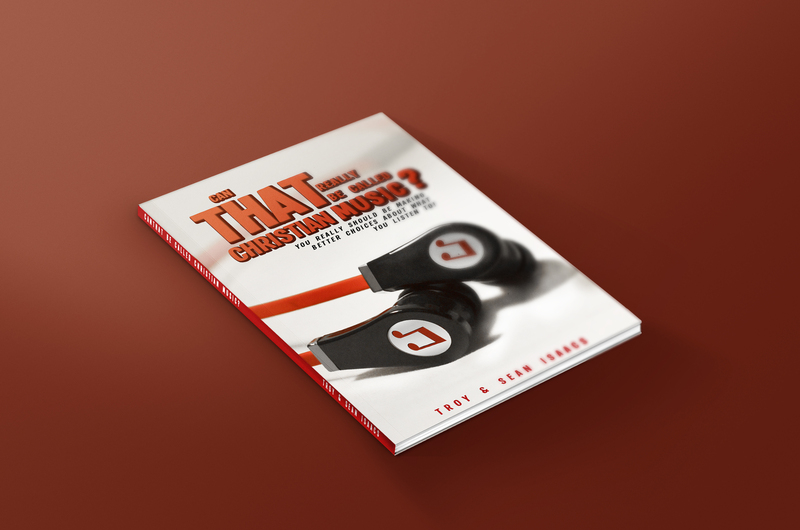 According to Eric Durso from A Watchman for the Morning (ericdurso.com) Come, Now is the Time to Worship is #15 on the list of The Top 25 Songs Sung in Churches today. This song also ranks at #18 on The Top 100 CCLI Songs This Period. For a song written several years ago (originally released in 1998), this song has endured through rapidly changing world of CCM today. As a contender against this contemporary Christian music song, I’ve picked O Worship the King by Sir Robert Grant. Sir Robert Grant, 1779 -1838, wrote only twelve hymns which were collected and released posthumously by his brother Charles Grant. Of those twelve songs, only O, Worship the King is still currently sung. According to Dr. C Michael Hawn, professor of Sacred Music at Perkins School of theology, Erik Routely, the British hymnologist, considers Grant’s hymn to be a “good example of the impact on hymnody of the new search for poetic standards which Herber so strongly promoted”. O Worship the King also has recently been modified and revised by Chris Tomlin. Tomlin’s version of O Worship the King, which includes a new chorus, has brought the old hymn back into popular use. For this battle however, I will be using the original lyrics as penned by Sir Robert Grant. On the left we have the lyrics to Come, Now is the Time to Worship. It is important to note that the lyrics of this song vary according to the singer. Other singers/groups have done covers for this song, tweaking the lyrics here and there. Alternate lyrics are found on other sites than the source that I have used; however, I have picked this source because these are the main lyrics most often sung. On the right are the lyrics to O, Worship the King. Come.One day every tongue will confess You are God. In the lyrics “Come Now Is the Time to Worship, now is the time to give your heart” the use of the word “now” gives a sense of urgency and immediacy. “Now” clearly encourages Christians to make worship a priority and a central focus. The lyrics following that line – “Come, just as you are to worship”—I think are not as clear and can be misconstrued. It is true that there is nothing that we can do in and of ourselves to make ourselves more fit for worship. As His children we should not concern ourselves with trivial superficial matters, looks or appearance, station or position in life, etc. to come before our God. James (in James 2:1-4) rebukes those who are partial to finely dressed, rich churchgoers. Clearly, we should not be partial about outward features when we come into God’s house. However, while man looks at the outward appearance, God looks at the heart. In regard to our heart condition, we should not come to God “just as we are” to worship. We must come to Christ just as we are—sinners, poor and wretched—to be cleansed. And only then, cleansed by and covered in the blood of Jesus, can we approach the Father in worship. God makes it clear that the worship/sacrifice of the wicked is an abomination to Him (Proverbs 15:8). Therefore, as we bring our sacrifice of praise/worship to the Lord, we must do so through Christ (Hebrews 13:15). Matthew 5:23-24 cautions us that “…. if thou bring thy gift to the altar, and there rememberest that thy brother hath ought against thee; Leave there thy gift before the altar, and go thy way; first be reconciled to thy brother, and then come and offer thy gift.” While I believe the intention of these lyrics is good—to call us to worship now, with immediacy with urgency without care for outward appearance—we should be careful with the words “just as you are to worship/just as you are before your God”. On the other hand, let’s compare “just as you are” (Doerkson) with “the humbler creation” and “frail children of dust” (Grant). Whereas “just as you are” can misconstrue the correct heart-posture before God, the lyrics “the humbler creation” and “frail children of dust” clearly reveals our station in relationship before the exalted and high station of our God in worship. According to Grant’s last stanza our effort to worship the Lord cannot even compare to the worship of the angels (“though feeble their lays”, i.e. though our singing may be weak in comparison that of the angels). “Frail children of dust and feeble as frail” leaves no question as to who we are in relationship to God. Not only is Grant clearer about our humble feeble station as mankind, he furthermore illustrates our posture in approaching God in worship. The lines “with true adoration shall all sing your praise” and “O, gratefully sing” gives us far more detail than “just as you are to worship”. Whereas Doerkson’s “just as you are” can mean anything, Grant’s lyrics unmistakably mean we must come with gratitude, thankfulness, awe and adoration. Not only do Grant’s lyrics give us a clearer picture of our heart posture, they give us a better illustration of God’s nature and character. After the first stanza, Doerkson’s lyrics continue onto say: “One day every tongue will confess You are God; one day every knee will bow”. These lines echo those of Scripture which says in Romans 14:11 “For it is written, As I live, saith the Lord, every knee shall bow to me, and every tongue shall confess to God.” Indeed, one day, the whole earth will confess and recognize the deity of Christ. Doerkson’s lyrics point us to that reality. Grant’s lyrics however give us a grander fuller picture of our Lord than simply “You are God”. Contrast the simplicity of “You are God” with the depth and breathdth of “The King”, “Shield and Defender”, (Psalm 3:3 and 7:10) the Ancient of Days” (Daniel 7:9), “Almighty”, “Our Maker, Defender, Redeemer, and Friend” (Psalm 18:2). By the time Grant has finished describing this God “girded in splendor”, “whose robe is the light, whose canopy space”, who by His power “established [the world] by a changeless decree”, who can help but sing?! Doerkson’s lyrics “Still the greatest treasure remains for those who gladly choose you now” may entice us to praise the Lord now and not wait. As we look to our treasure stored up in heaven, perhaps we are stirred to worship. However, contrast this with Grant’s provocation to worship. Instead of the “treasure for those who choose [God] now” as an impetus to worship, Grant draws on the imagery of Psalm 104, depicting the majesty, greatness, condescension and care of the King. After Grant has led us through six profound verses describing to us God’s character, His marvelous creation (“the earth with its store of wonders untold”) and His care for us (“Thy bountiful care”), we can’t help but “all sing His praise”! Furthermore, Grant’s words direct us not simply to confess “You are God” but moreover to sing of God’s power, love, might, grace and His care for us! Grant’s lyrics far outpace Doerkson’s in descriptiveness of God’s nature (“You are God” vs. “Our Maker, Defender, Redeemer and Friend” etc.) and clarity as to our posture in approaching Him in worship (“Just as you are” vs. “humbler creation” “gratefully sing” “with true adoration”). Doerkson’s lyrics put forth a valiant effort, urging immediacy and echoing Romans 14:11. Yet, Grant’s lyrics ultimately triumphed with greater imagery, depth and Scripture, taking us on a trip through the Psalms and pointing us to the majesty and wonder of our King. Battle three is over– It’s another knockout for the Hymns! But, if you are looking for Contemporary Christian Music that can stand up against the old hymns, with a wealth for Scriptural content, and lyrics that will point you to the glory of God, as our gift to you, download six high-quality songs now: Music Download.